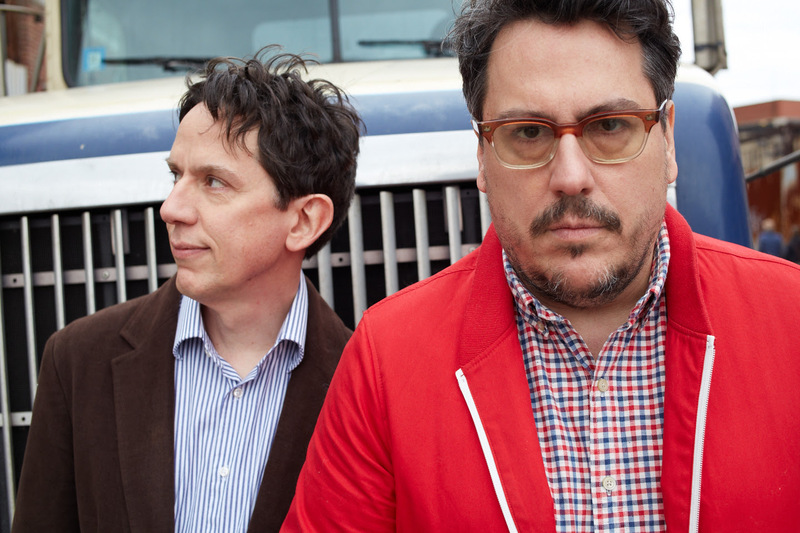 Listen: They Might Be Giants bring back Dial-A-Song. They Might Be Giants have set themselves up for a crazy year. They have two albums set to release in 2015, a national and international tour, and are bringing back Dial-A-Song for the Internet age. First launched in 1983 from John Flansburgh’s Brooklyn kitchen via an answering machine, Dial-A-Song let listeners in on the most recent songs from the band years before their career took off nationally. And for all of 2015, the high concept/no budget idea returns with a toll free number at (844) 387-6962 as well as via the web at www.DialASong.com. The 2015 Dial-A-Song reboot comes to life with a new track debuting every Monday night on Slate’s “The Gist” podcast with Mike Pesca for the entirety of the year. The following Tuesday morning, the tracks are put up on dialasong.com, YouTube, iTunes, etc. The songs will also be played on over 100 radio stations via the Dial-A-Song Radio Network. Those that prefer a download can join the band’s Dial-A-Song Direct service on Drip.fm and get the whole year’s worth of tracks for just $30. Watch the first song, Erase, now. To see if They Might Be Giants is coming your way, check out the tour dates below. Tags: (844) 387-6962, albums, Dial-A-Song, dialAsong, Drip.fm, Erase, John Flansburgh, Mike Pesca, Slate’s “The Gist”, The Fillmore, They Might Be Giants, tmbg, Tour, tube magazine. Bookmark the permalink.